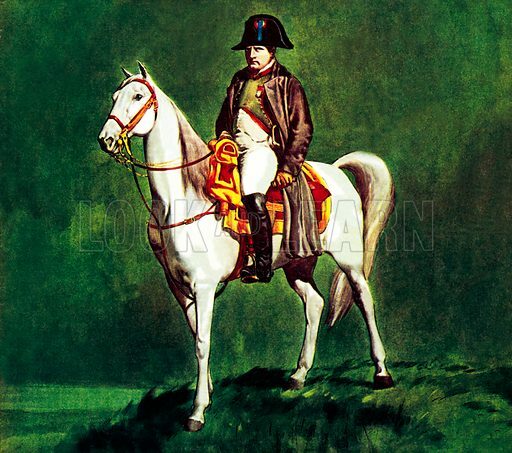 The best pictures of Napoleon’s horse, ‘Marengo’ are striking images of the splendid white charger. 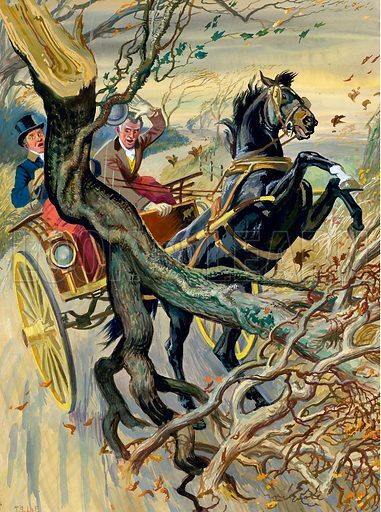 The first picture is in the manner of an equestrian portrait. 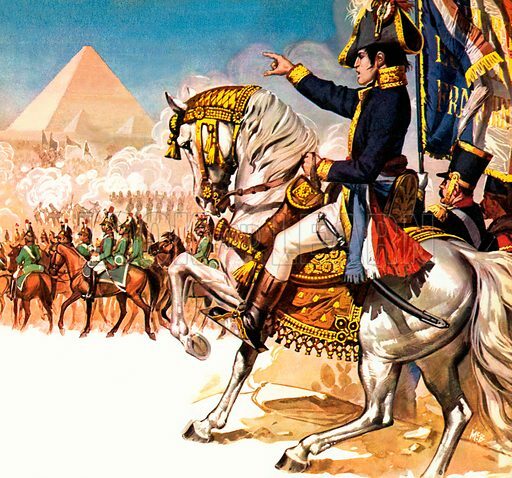 The second picture is a famous painting of Napoleon and ‘Marengo’. 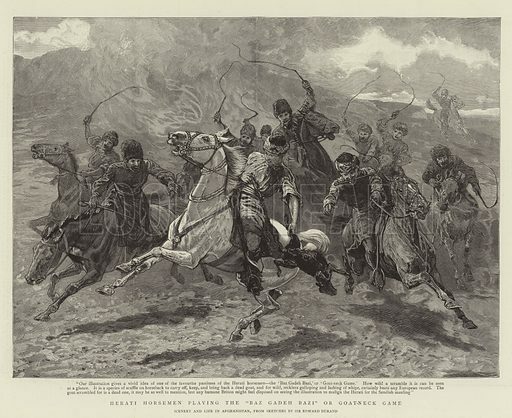 The third picture shows man and horse at the Battle of the Nile. 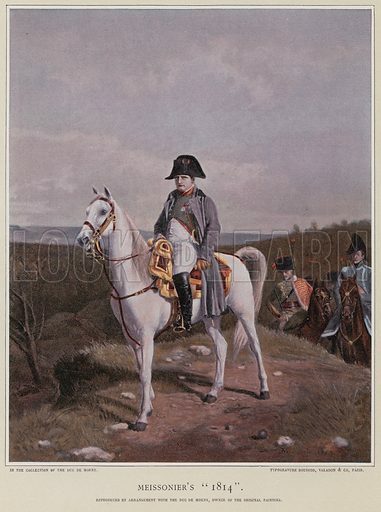 Many more pictures of Napoleon can be found at the Look and Learn picture library. 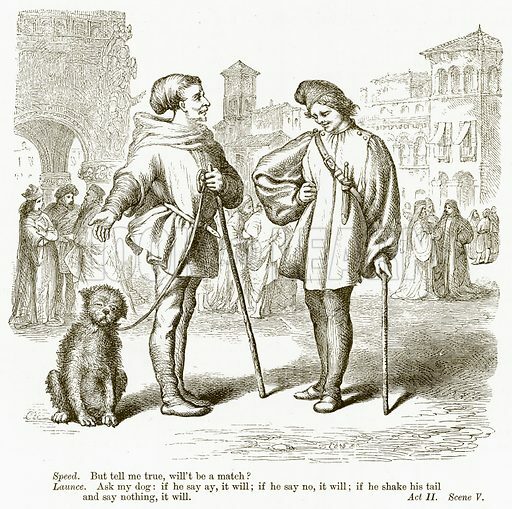 The best pictures of Launce and his “ungentlemanlike” dog, Crab, are striking images of the comic Shakespearean character and his pet. The first picture shows Launce’s lecture. 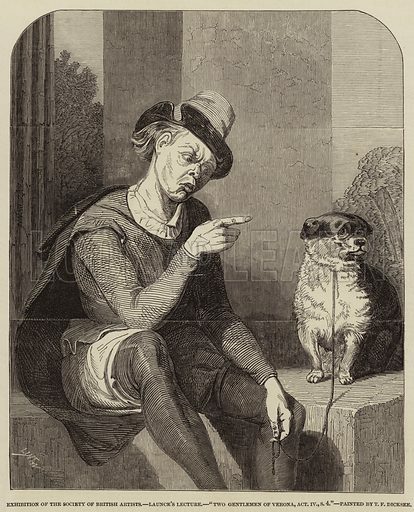 The second picture shows man and dog in comic mode. The third picture shows Launce and Speed with Crab. 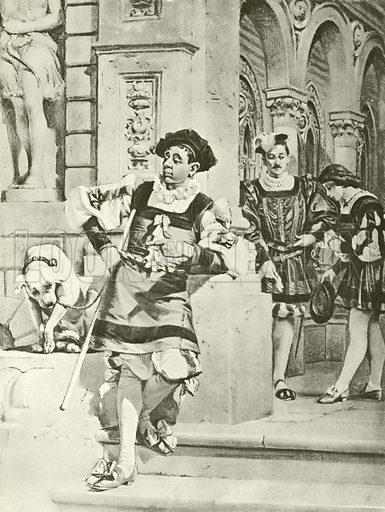 Many more pictures of Shakespeare plays can be found at the Look and Learn picture library. 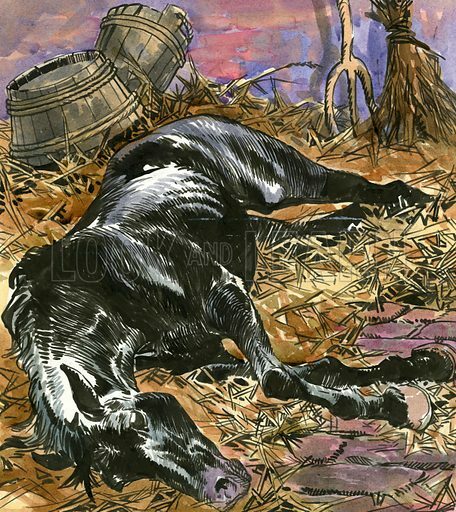 The best pictures of Black Beauty are striking images of the famous horse in Anna Sewell’s classic novel. 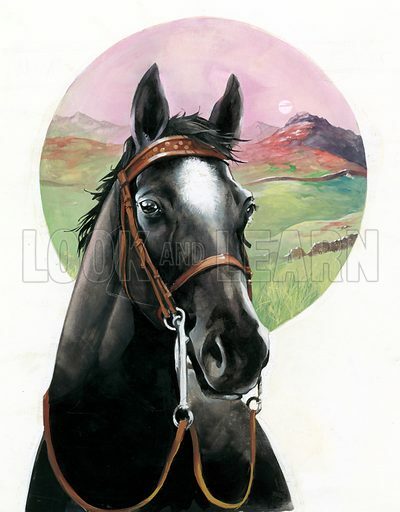 The first picture is a portrait of Black Beauty. 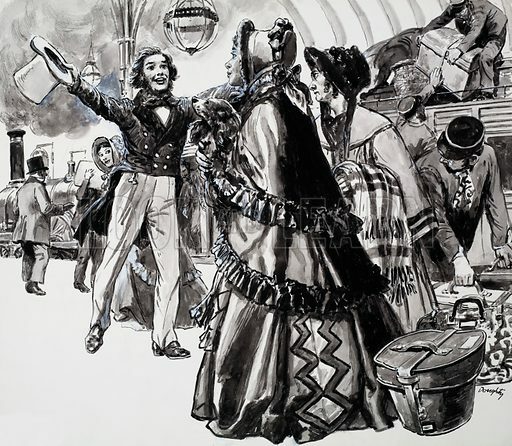 The second picture shows the carriage accident in the storm. The third picture shows an exhausted and maltreated Black Beauty. 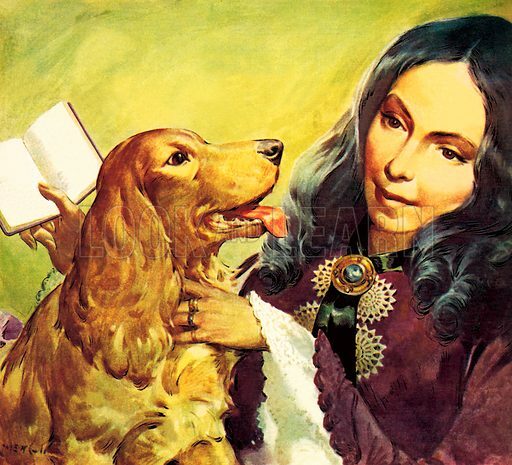 The best pictures of Elizabeth Barrett and her spaniel named Flush are striking images of the invalid poet and her pet. The first picture is a portrait. 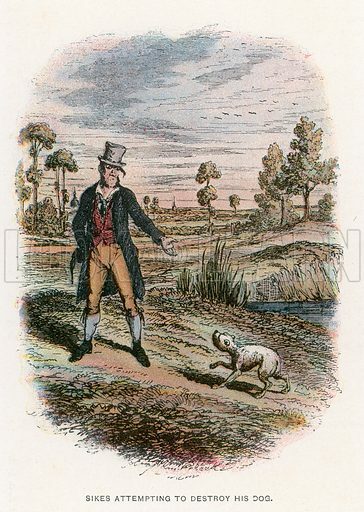 The second picture shows Robert Browning meeting Elizabeth and her spaniel. 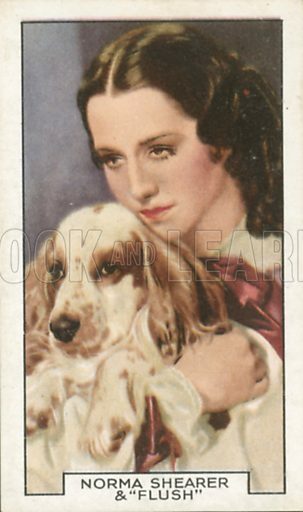 The third picture shows a cigarette-card still from the film The Barretts of Wimpole Street. 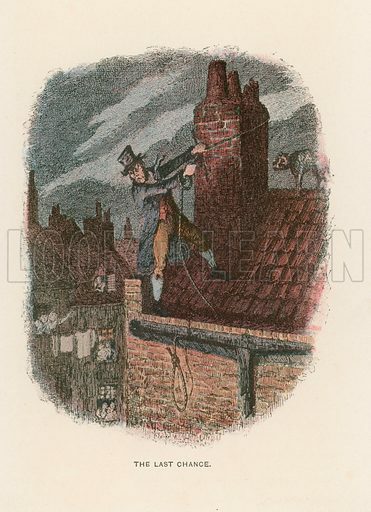 Many more pictures of poets can be found at the Look and Learn picture library. 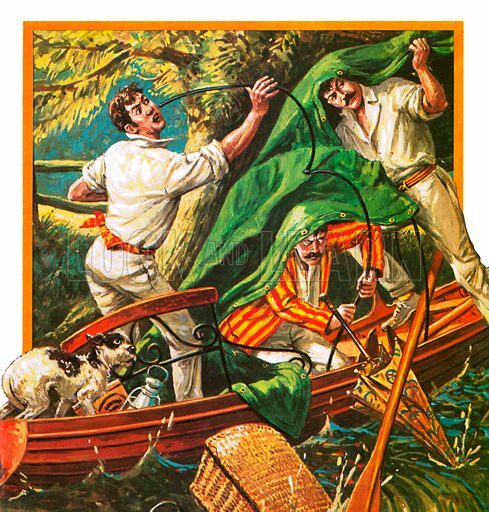 The best pictures of Three Men in a Boat are vivid images of Jerome’s comic characters and their pet dog, Montmorency. The first picture shows the chaotic trio and their dog. 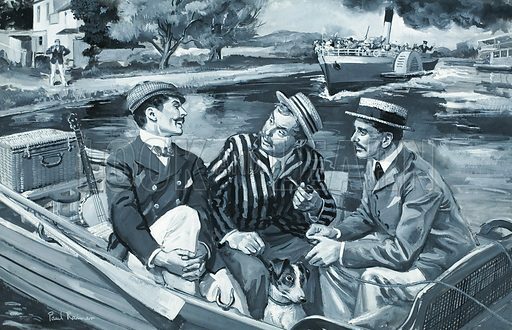 The second picture shows the trio in conversation on the river. 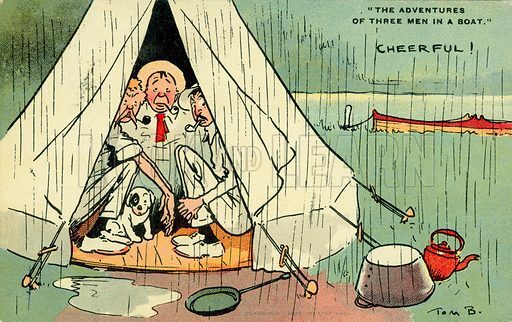 The third picture shows the three in their tent with Montmorency. The best pictures of regimental pets and mascots are striking images of unusual subjects. 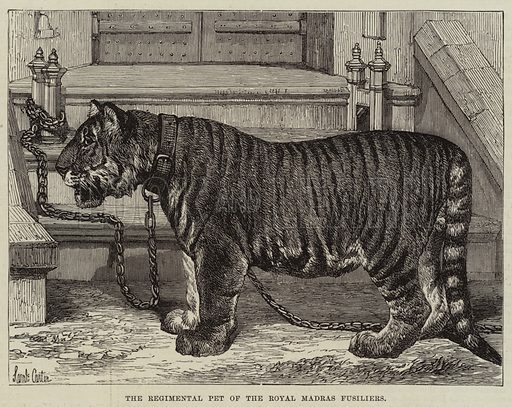 The first picture shows the regimental pet of the Royal Madras Fusiliers. 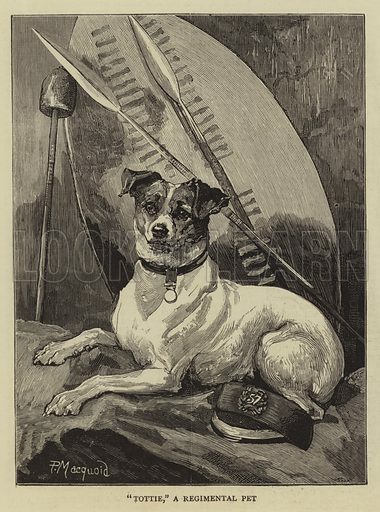 The second picture shows the regimental pet of the 57th Middlesex. 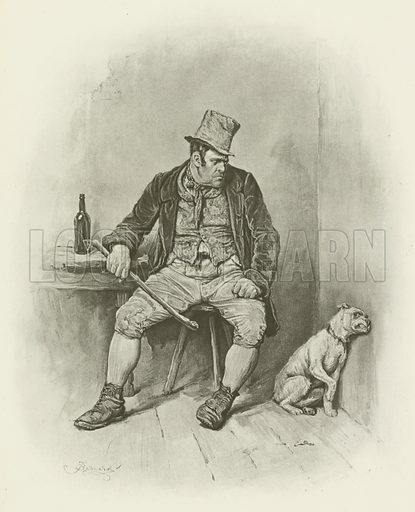 The third picture shows the regimental pet of the Sappers and Miners. 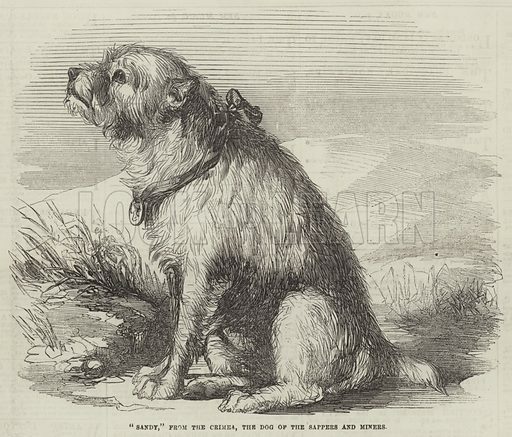 Many more pictures of pets can be found at the Look and Learn picture library. 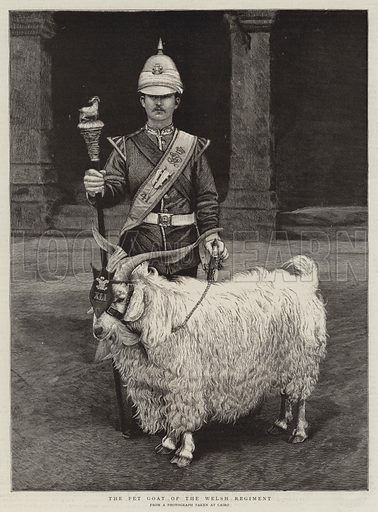 The best pictures of the pet goat of the Royal Welch Fusiliers are unusual images of this traditional military mascot. The first picture shows the Welsh mascot. 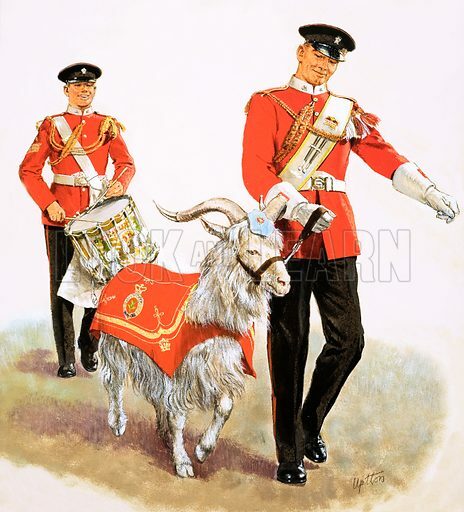 The second picture shows the goat in uniform but at ease. 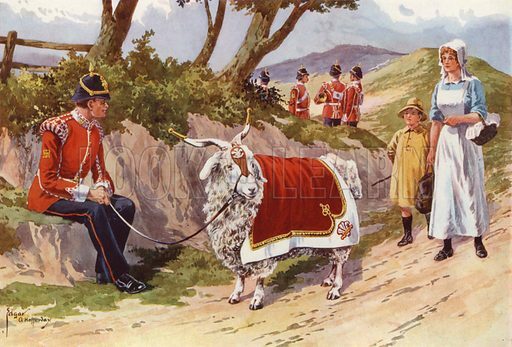 The third picture shows the goat on parade. Many more pictures of goats can be found at the Look and Learn picture library. 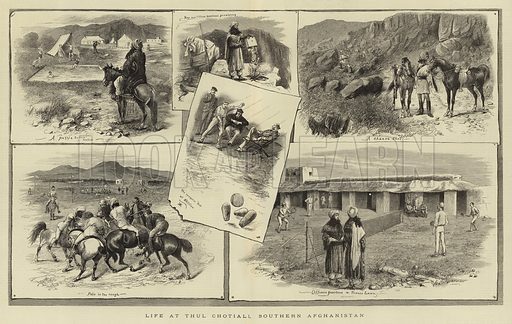 The best pictures of Afghans playing Buzkashi are striking images of the country’s most popular and very bloody sport. 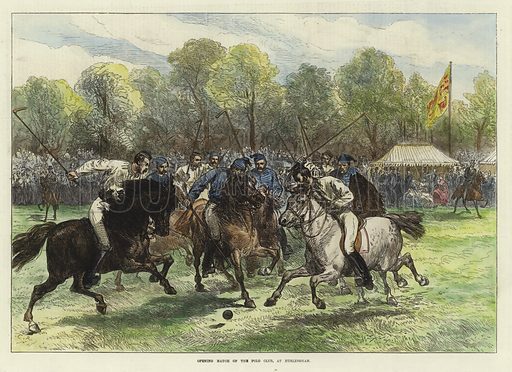 The first picture shows a fierce match being played. The second picture shows more players of this ancient sport. 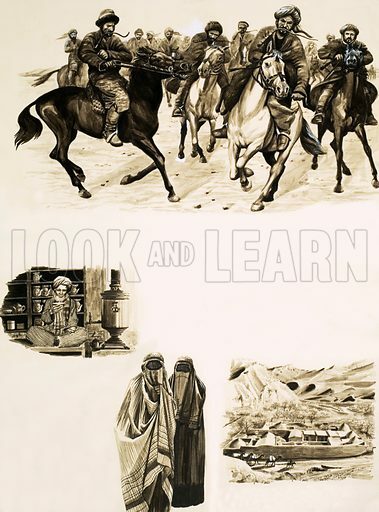 The third picture shows a variety of scenes including men playing Buzkashi. Many more pictures of sports can be found at the Look and Learn picture library. The best pictures of polo at Hurlingham are vivid images of the exclusive sport. 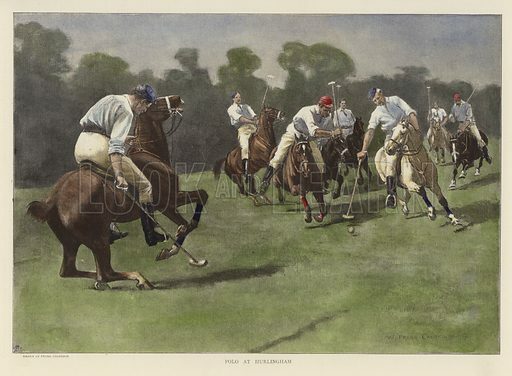 The first picture shows the opening polo match. 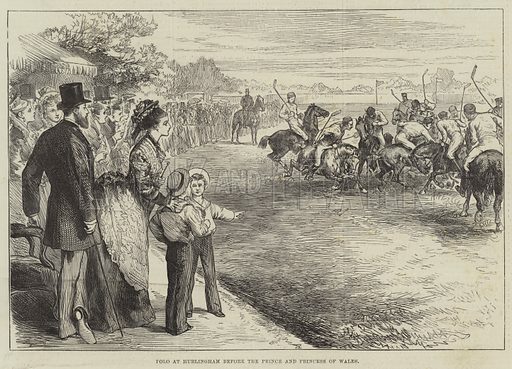 The second picture shows Royal visitors watching a polo match. The third picture shows a fiercely contested ball. Many more pictures of sport can be found at the Look and Learn picture library.